Dapper Classics knows that dapper is in the details and believes that a gentleman’s socks can pull together his entire ensemble. We also think that socks are a great way to bring some personality to your outfit. With these principles in mind, we’ve developed an expansive selection of Made in USA men’s dress socks. Our collection, which includes over 120 unique styles, offers options for men with bold and traditional tastes. Dapper Classics socks complement a wide range of menswear: from casual attire to business suits and formal wear. 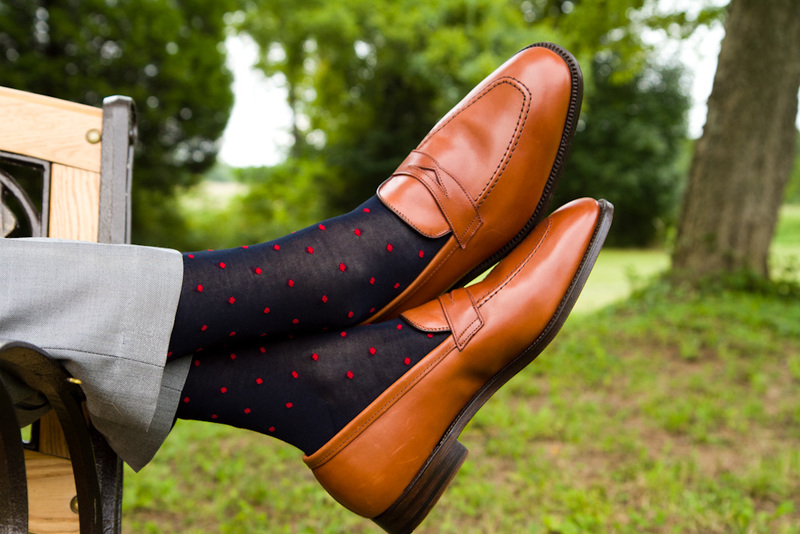 We encourage you to look through our Solid, Stripe, Pin and Polka-Dot, and Patterned styles to find which socks best fit your look. It’s no secret: Mondays can be a challenge. Starting a new work week leads many to begin longing for a weekend that seems all too far away. Fortunately, Dapper Classics has a remedy for the “case of the Mondays.” Each Monday we give away a FREE pair of socks on our Facebook page. All you have to do is share the giveaway post for a chance to win. We draw a winner at midnight. Finally, there’s a reason to look forward to Mondays!